The buzz is that the Reserve Bank of India had stepped in yesterday to prevent the rupee from sliding further. Citing a note by the treasure team at HDFC Bank, The Hindu reported that the apex bank is estimated to have sold dollar to the tune of $700-800 million through state-owned banks. "We expect the RBI to intervene aggressively at 69.0 levels to support the rupee," added the note. 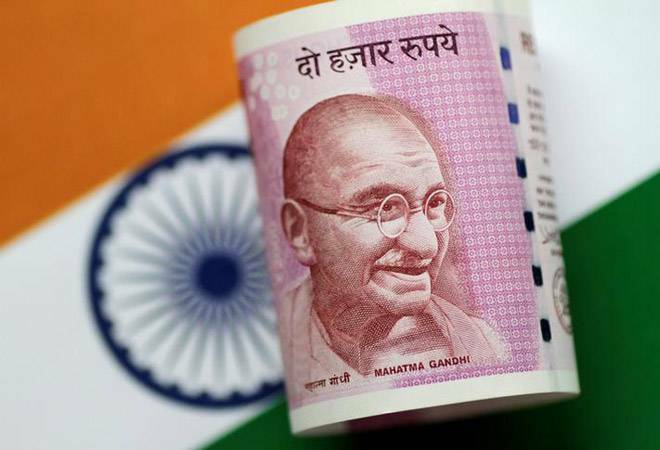 According to forex dealers, selling of dollars by banks and exporters today made the greenback weak against some currencies overseas, which supported the rupee. A higher opening of the domestic equity market also helped prop it up. The government will certainly be hoping for a rupee rally, given the flak it received from the Opposition as well as the Twitterati yesterday. "The Rupee hits an all time low, perilously struggling between life and death, kept alive on a ventilator system. #RupeeInICU," tweeted the Indian National Congress. "With our PM always on tour (international or electoral), one FM in Press Conference(s) , & the other acting as a Columnist, and RBI Governor, busy counting. No wonder, Against Dollar, #RupeeInICU is taking a pounding" tweeted another netizen. In fact, Prime Minister Narendra Modi had also been repeatedly called out for his sarcastic tweets targeting his predecessor Manmohan Singh and the UPA government for a falling rupee in the run up to the 2014 elections - ironically, when the rupee was a lot stronger than it is today. "So who will tumble down more? Modi govt or the Rupee? #RupeeInICU," tweeted Ruchira Chaturvedi, National Convenor, Social Media & Digital Communications, Indian National Congress. She was referring to Modi's July 2013 tweet "UPA Government and the Rupee seem to be in a competition with each other on who will tumble down more". The founder of the Art of Living Foundation, who had tweeted "It is refreshing to know that the rupee will get stronger at Rs.40/- per dollar if Modi comes to power" in March 2014 also got trolled. But look at our resilience versus other Major currencies since the past 5 yrs.